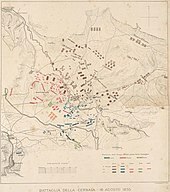 Field Marshal FitzRoy James Henry Somerset, 1st Baron Raglan,, known before 1852 as Lord FitzRoy Somerset, was a British Army officer. 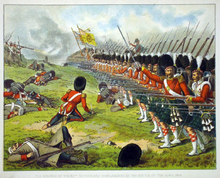 As a junior officer he served in the Peninsular War and the Hundred Days, latterly as military secretary to the Duke of Wellington. 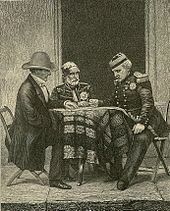 He also took part in politics as Tory Member of Parliament for Truro before becoming Master-General of the Ordnance. 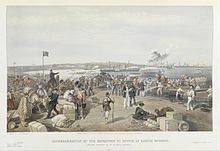 He became commander of the British troops sent to the Crimea in 1854: while his primary objective was to defend Constantinople he was ordered to besiege the Russian Port of Sevastopol. 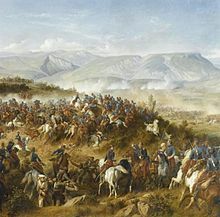 After an early success at the Battle of Alma, a failure to deliver orders with sufficient clarity caused the fateful Charge of the Light Brigade at the Battle of Balaclava. 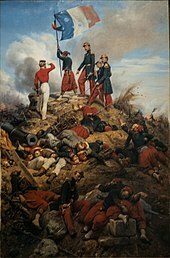 Despite further success at the Battle of Inkerman, a piecemeal allied assault on Sevastopol in June 1855 was a complete failure. 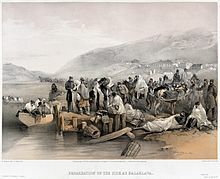 Raglan died later that month, while suffering with dysentery and depression. 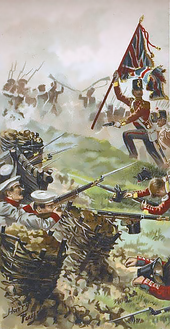 The Victoria Cross (VC) was awarded to 111 members of the British Armed Forces during the Crimean War that lasted from 1854 to 1856. 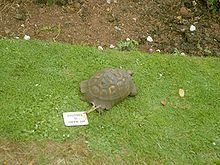 The Victoria Cross is a military decoration awarded for valour "in the face of the enemy" to members of armed forces of some Commonwealth countries and previous British Empire territories. 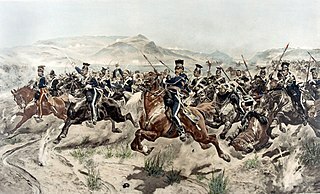 The VC was introduced in Great Britain on 29 January 1856 by Queen Victoria to reward acts of valour during the Crimean War. 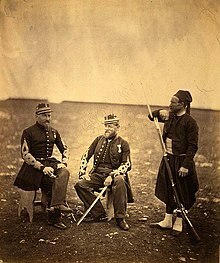 It takes precedence over all other Orders, decorations and medals; it may be awarded to a person of any rank in any service and to civilians under military command. 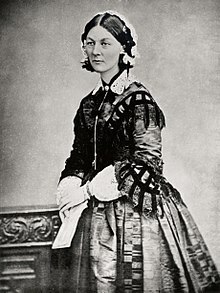 The first ceremony was held on 26 June 1857 where Queen Victoria invested 62 of the 111 Crimean recipients in Hyde Park. Admiral Edmund Lyons, 1st Baron Lyons was an eminent British Admiral of the Royal Navy, and an eminent British diplomat, who was responsible for encouraging the Crimean War, during which he was Commander-in-Chief of the Mediterranean Fleet, and for the securing the subsequent allied victory in the conflict, through his efforts at the Siege of Sevastopol (1854–1855) with both the Navy and the British Army. 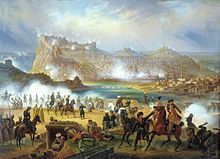 The Siege of Sevastopol lasted from October 1854 until September 1855, during the Crimean War. 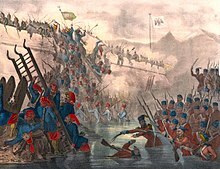 The allies landed at Eupatoria on 14 September 1854, intending to make a triumphal march to Sevastopol, the capital of the Crimea, with 50,000 men. 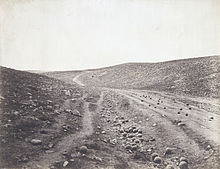 The 56-kilometre (35 mi) traverse took a year of fighting against the Russians. 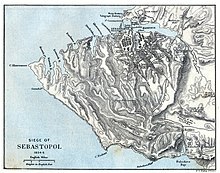 Major battles along the way were Alma, Balaklava, Inkerman, Tchernaya, Redan, and, finally, Sevastopol. 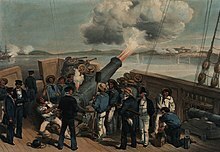 During the siege, the allied navy undertook six bombardments of the capital, on 17 October 1854; and on 9 April, 6 June, 17 June, 17 August, and 5 September 1855. 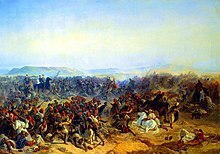 The Battle of Eupatoria was the most important military engagement of the Crimean War on the Crimean theatre in 1855 outside Sevastopol. 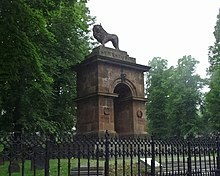 The Sebastopol Monument is a triumphal arch that is located in the Old Burial Ground, Halifax, Nova Scotia, Canada. 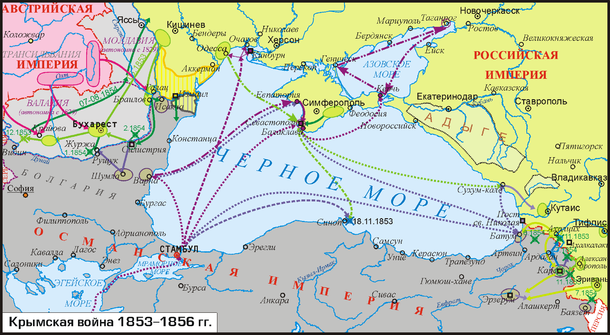 The arch commemorates the Siege of Sevastopol (1854–1855), which is one of the classic sieges of all time. This arch is the 4th oldest war monument in Canada (1860). 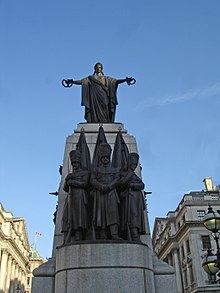 It is the only monument to the Crimean War in North America. The arch and lion were built in 1860 by stone sculptor George Lang to commemorate British victory in the Crimean war and the Nova Scotians who had fought in the war.